Andy Romey, Assistant Editor of the Magazine Division, wrote a story about our Post from interviews with some of our members. 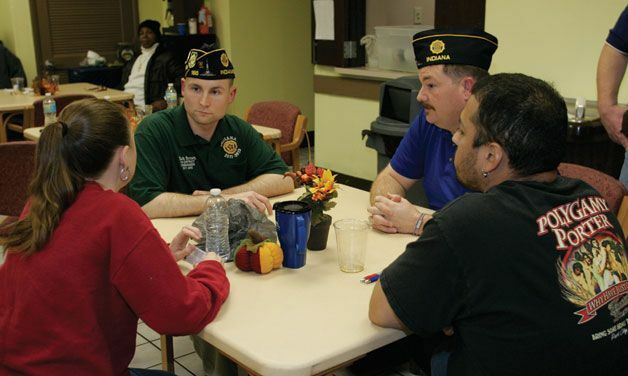 It’s currently up on The American Legion national website. Photographer Tom Strattman took some photos at our Post Birthday Celebration at HVAF. In the photo is Sandra Tinch, Past District 11 Commander Rich Brown, Post Adjutant Eric Thomas, and Post Member Jose Sandoval.